A stormy January night didn’t deter the sold-out audience when Mikva the Musical. Music & Monologues from the Deep was performed in Nishmat’s Sami and Charlotte Rohr Hall. Composed of heartfelt true stories of women’s mikva experiences and original lyrics matched with well-known melodies, the review was dramatic and comic, entertaining and informative and even cathartic. 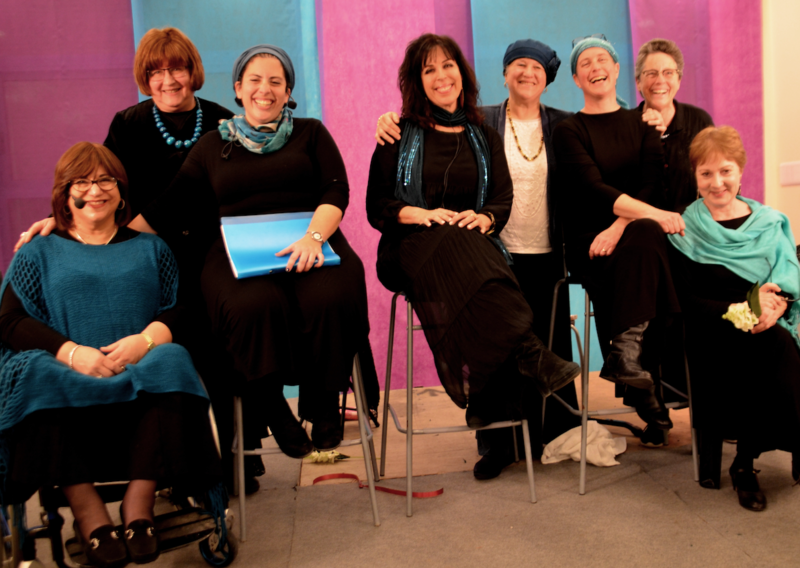 Created by two American-born Israeli thespians, Myra Gutterman and Toby Klein Greenwald, Mikva the Musical is performed by five actresses, including Yoetzet Halacha Sarah Landsman. In the audience was Jerusalem Post columnist Barbara Sofer, who introduced Yoatzot Halacha to her readers some 20 years ago and wrote about this performance and how to contact a Yoetzet Halacha in her recent column: The Phone Number to Save Your Marriage.